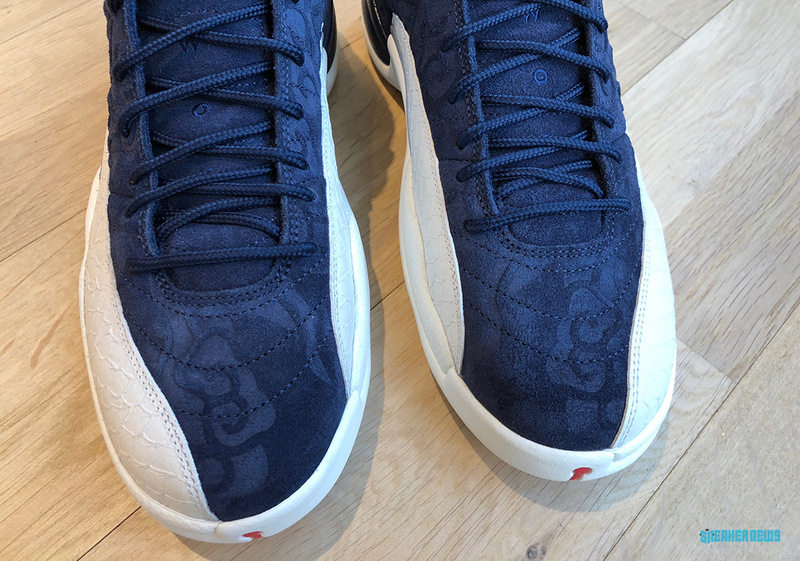 Jordan Brand‘s fall slate of releases are starting to surface and this new Jordan 12 colorway, set to drop September 8th and part of the upcoming “International Pack”, boasts unique and intricate detailing that has connection to Japan. 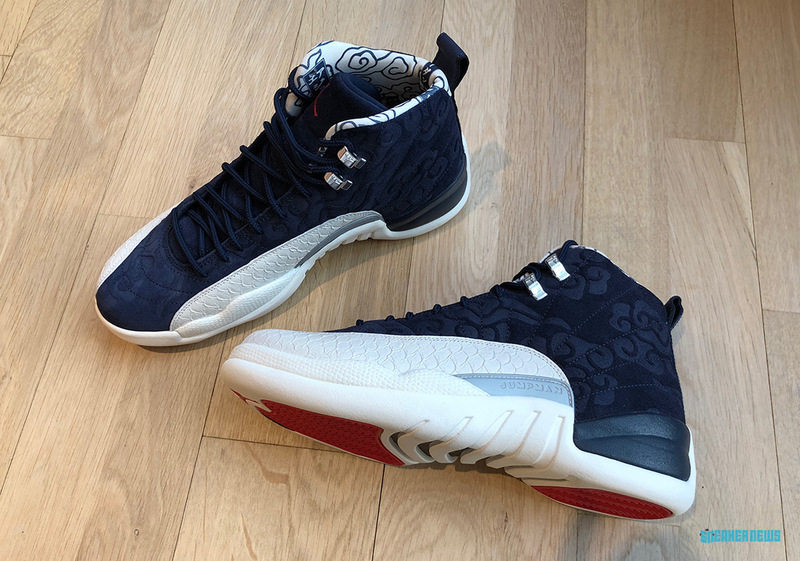 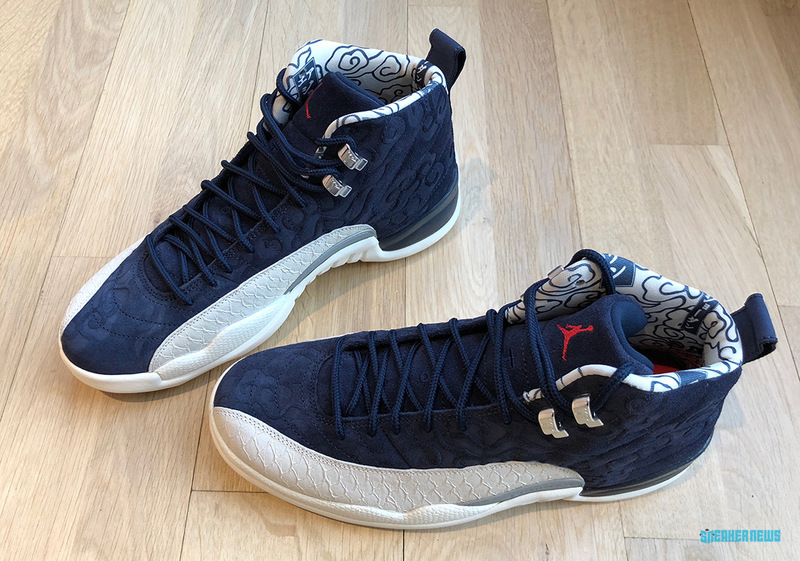 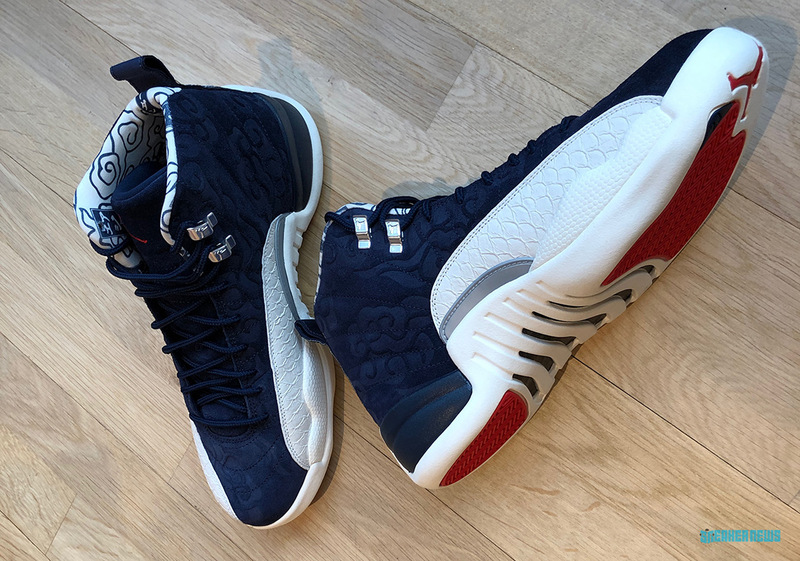 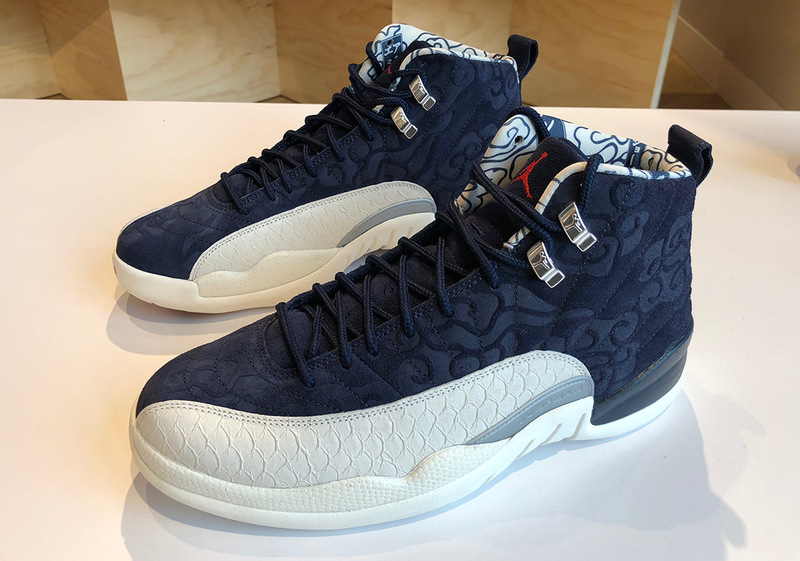 At first glance, the shoe is a simple navy blue Jordan 12 with white accents, but if you look closely you’ll see that there’s more to this shoe than first meets the eye as the navy suede upper features a debossed traditional floral prints, while the white mudguard is constructed of a scaly textured material for even more contrast. 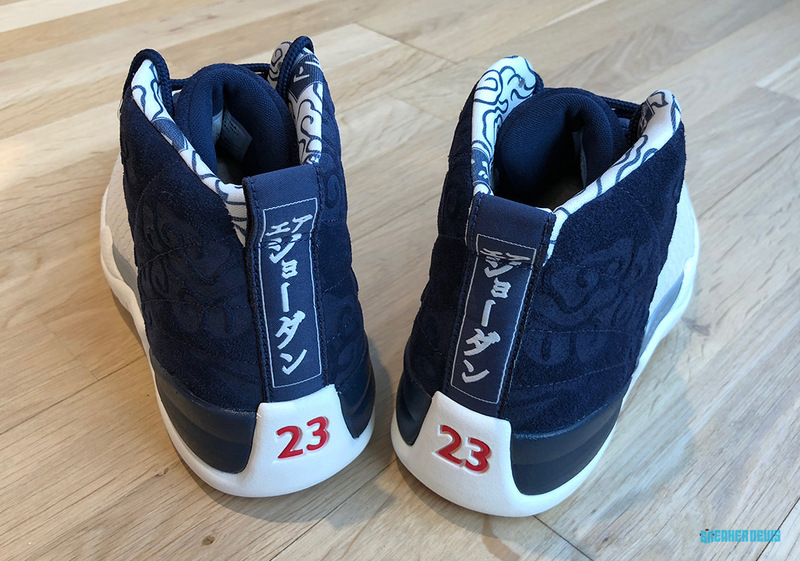 Additionally, Japanese lettering can be seen on the heel as well as on the inner linings of the shoe. 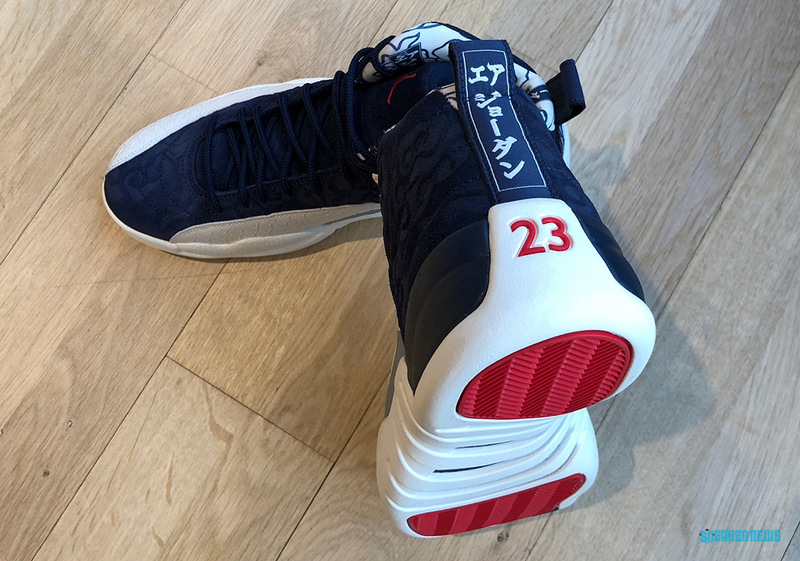 The Air Jordan 12 was indeed partly inspired by the Japanese flag, so the connection here is quite clear. 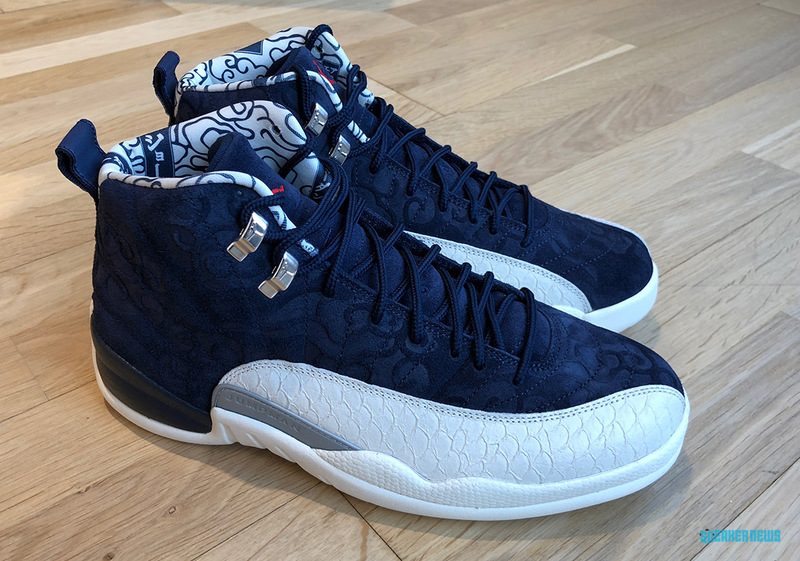 Be sure to keep it locked here for updates on Jordan Brand’s fall slate of releases, and check out this recently-unveiled pair of Jordan 3’s, another part of the “International Pack”.